New York's Top-Rated Acura Dealer! At Rallye Acura, we strive to raise the bar in customer satisfaction day in and day out. It’s our #1 priority and the reason why we continue to make improvements at our dealership. 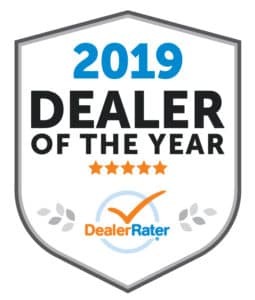 We’re proud to say that for the 2nd consecutive year, Rallye Acura has been named the Acura Dealer of the Year in New York by DealerRater! 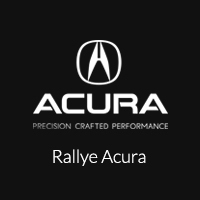 Visit Rallye Acura today and see what makes us the top-rated Acura dealership in New York. Plain and simple if you're in the market for an Acura, go see Danny. He accurately and professionally accesses your need as the customer to provide a fitting solution. Danny is genuine, courteous and respectful of your time without adding any pressure. My customer experience was wonderful and smooth. This is due to Danny's expedience and the overall professionalism of operations by the Rallye management/staff including Jay Rosenthal, Joe Filardo & Faith Egan. I was in and out of the dealership with my new TLX in under an hour. That's including the time it took for me to grab complimentary coffee and bagel :) Thank you all very much and thank you Rallye. You have chosen the best time to visit our online dealership! All New Acuras are featured with great pricing, special lease and special financing packages. Stop by the showroom to experience Acura’s finest models! Feel free to browse our inventory online and request more information about our Acura models – the Acura ILX, the new TLX, RLX Sedans, or the RDX and MDX Sport Utility Vehicles! Request a quick quote and discover how affordable Acura’s Luxury Vehicles are today!